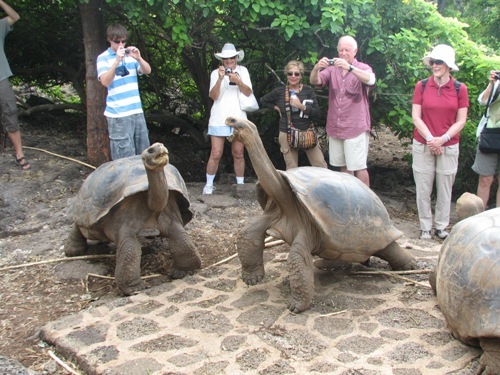 The animals are called Galapagos tortoises because they are originated to Galapagos Islands. They are located on the west side of Ecuador. 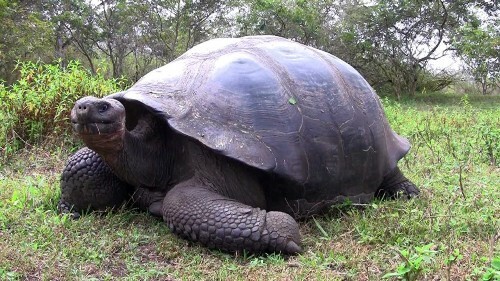 Galapagos tortoises have a very long life. There is no need to wonder that among the vertebrates, it receives the title as one of the longest lived animals. It has the life span up to 100 years in the wild. If Galapagos tortoises live in captivity, their life span reaches 170 years. Look at facts about cane toad here. 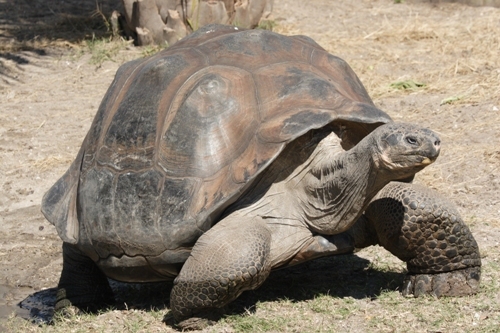 The name of tortoise was derived from the name of the Spanish word for tortoise, Galapago. In 16th century, the animals were discovered by the Spanish explorers in the islands. The shells of Galapagos Tortoise are unique. The population of Galapagos Tortoises has different shapes and sizes of shells. 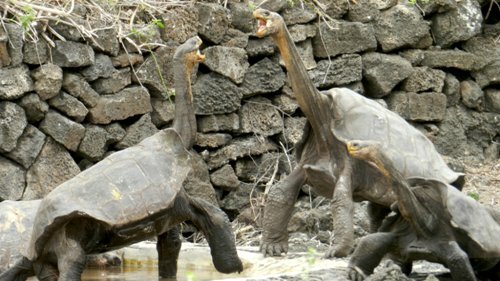 The Galapagos Tortoises have long necks, saddleback shells and smaller body if they live on the islands with dry lowlands. Galapagos Tortoises which live on the islands with humid highlands have different characteristics. They have shorter necks, domed shells and larger body. The people who study about biology must know about the theory of evolution by Charles Darwin. The development of his theory was contributed from Darwin’s second voyage in 1835 where he noticed on the differences of Galapagos Tortoises. 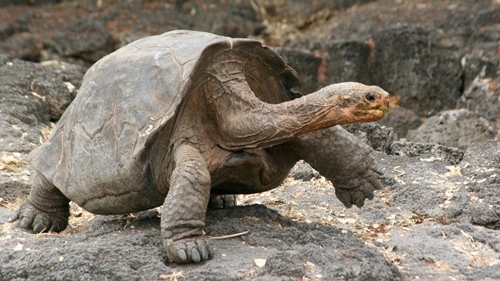 The population of Galapagos Tortoises decreased from 16th century to 1970s. In 1970s, there were only 3,000 Galapagos Tortoises. In 16th century, the population of Galapagos Tortoises reached 250,000 individuals. Get facts about swan here. The population of Galapagos Tortoise declined because of various reasons such as the non native animal introduction, overexploitation and habitat clearance. Galapagos Tortoises have the dull brown color. The shell or carapace is bony and large. Check squid facts here. Do you like reading facts about the Galapagos Tortoise? If you want to know one of the most beautiful birds in the world, you can check Peacock Facts.